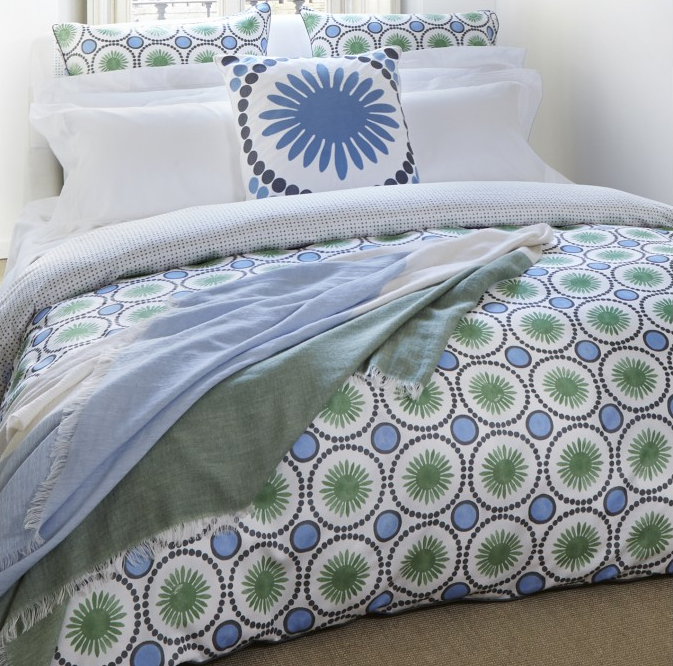 Summer is on the way and with it comes dreams of light, breezy linens for the bedroom. 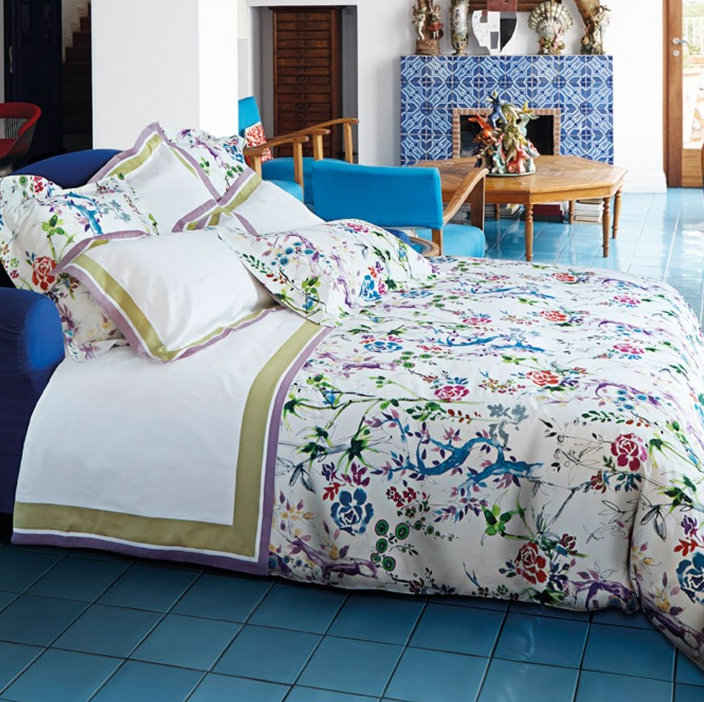 I’ve been browsing through Frette’s website and just love their spring and summer collection. It’s full of the luxurious hotel-quality linens that Frette is known for, but it also has bright splashes of modern color and whimsy that take you right to thoughts of the beach and a cool wind off the ocean. The soft blues and greens of the Biarritz collection are perfect for the nautical lover and I really enjoy how the pattern abstractly resembles sand dollars. If you’re more into floral than nautical then the Fiorito collection is the way to go. This beautiful pattern looks like hand painted watercolor. 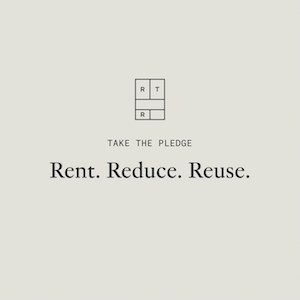 Frette offers much more than just bedding — in addition they have home decor, towels, robes, totes, and even clothing. I’m especially digging this stylish pareo beach wrap. It looks perfect for beachside strolls. I think I know what I’ll be dreaming about tonight!